Introduction: It's that time again. Time to cast aside our review mentality and really get into the nitty gritty side by side comparison of product. 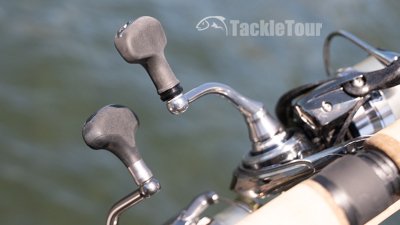 It's been a few years since we've conducted a good old fashioned TackleTour Shootout but early in 2018, two products presented themselves before us that inspired a true head to head comparison. 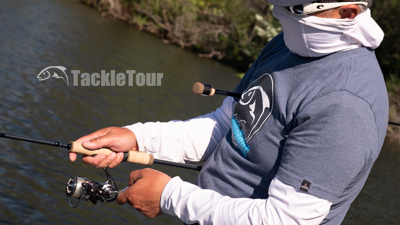 Of course these two products are from two true rival manufacturers, so like Red Sox vs Yankees, Giants vs Dodgers, Alabama vs Auburn, Packers vs Vikings, Cowboys vs Redskins, Celtics vs Lakers, Warriors vs Cavaliers, it's time to pit Daiwa vs Shimano and find out which product comes out on top. It's time for Exist LT vs Stella FJ. 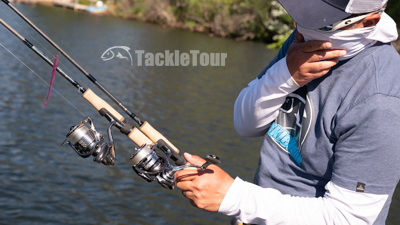 Similar to all the great sports rivalries, it almost always comes down to Daiwa vs Shimano. The Tests: Even though their overall review scores were identical, we're throwing all of that information out the window. Our goal here is to compare characteristics from one reel against the other and actually make a choice. In the end, we tally up the winner in each category and hopefully choose a winner. Our goal here is to compare characteristics from one reel against the other and actually make a choice. Before getting started, we needed to create an even playing field. 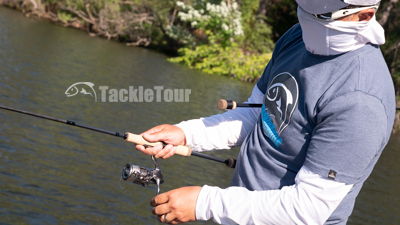 For spinning reels, that means choosing the same rod, the same line, right down to the same bait rigs. When it came to the fishing rod, the choice was relatively simple. G.Loomis's 820S DSR GLX, paired well with the Stella FJ late in its review cycle, so I relied on this stick throughout the Exist LT's evaluation. For the shootout, we simply visited with our friends up at Monster Fishing Tackle (aka Outdoor Pro Shop) in Cotati, CA on our way to the lake to pick up another. 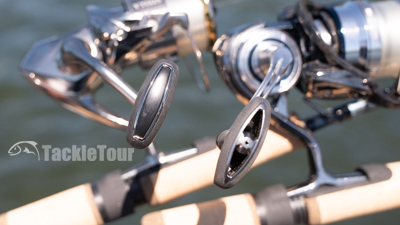 Before getting started, we needed to create an even playing field and outfit each reel with the same rod and same line. 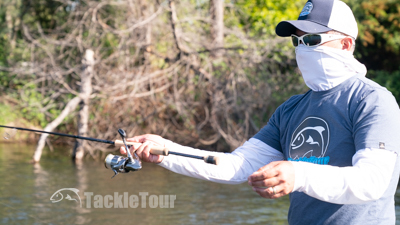 Both reels were already spooled with four pound (4lb) test Seaguar Tatsu Fluorocarbon, so we stayed with that choice. Primary application of choice was the tried and true finesse tactic of drop shotting, so I tied on a size 2 Gamakatsu TGW Drop Shot hook and secured a one sixteenth ounce (1/16oz) generic, tungsten, pencil style drop shot weight. Casting: There is really no discernible difference, at least not in my hands, between how the line comes off the Stella FJ or Exist LT. The spools are nearly identical in diameter (42mm outside diameter for the Stella FJ C3000MHG & 46mm outside diameter for the Exist LT 3000S-CXH) and height (17mm & 18mm respectively). The only area where I feel there's a difference during a cast is in the operation of their respective bails. The Exist LT's bail moves to an open position with virtually no sound and closes with a dull thud. The Stella FJ offers an audible "click" when pushed open and closes with a rather forceful and even more audible "click". ... What it came down to was bail operation. 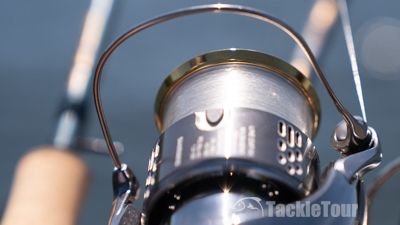 Retrieve: My first impression upon spinning the Stella FJ's handle for the very first time was "wow" - I could not recall ever turning the handle of a spinning reel and experiencing such buttery smooth performance. It was right there and then that the Stella FJ sewed the seeds for its eventual Enthusiast Tackle Award. I didn't think it possible for any reel to compare. Both reels feature T-Knobs on the handle. Fast forward a few weeks later when the Exist LT arrived in my hands. The first thing I did was install the handle and then take a turn or two. 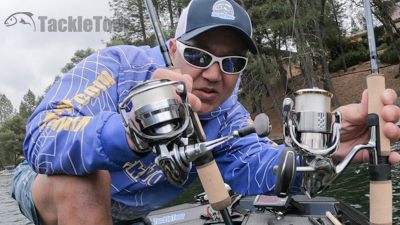 It was right then and there that this shootout was born because the Exist LT is every bit as smooth and buttery as the Stella FJ, but how both reels arrive at this performance is a little bit different. What I really wanted to do was open both reels up to investigate their internals. 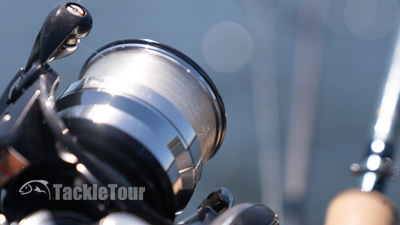 What I really wanted to do was open both reels up to investigate their internals, but both manufacturers do not make this task simple in their flagship spinning reels. The Exist LT has one very small 0.050" allen wrench head screw that can be found where the reel foot meets the reel's body. This screw holds in the bottom plate that finishes off the underside of the Exist LT's monocoque body. I took this screw out, but could not pry the bottom plate off and after marring it in a couple spots, abandoned the task. 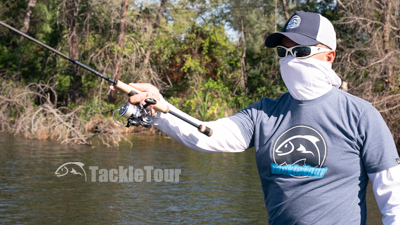 Neither manufacturer makes it easy to get into the reels' guts. The Stella FJ has one, very simple flat head screw located on the side opposite the reel foot at the bottom, but after my unsuccessful attempt with the Exist LT, I didn't even bother with the Stella FJ. If do it yourself maintenance is an important aspect of your high end spinning reel purchase, be aware that both these reels are not do it yourself friendly. So it's back to feel and what we know of each reel's internals. So instead, we look at what we know from each manufacturer's description of their product. For the Stella FJ, we know Shimano is using micro-module gearing on what is likely brass alloy gearing. 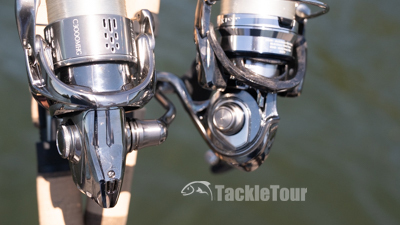 This would explain the weight difference between the two reels and fall in line with what we've seen on their other flagship products - Antares and Conquest. 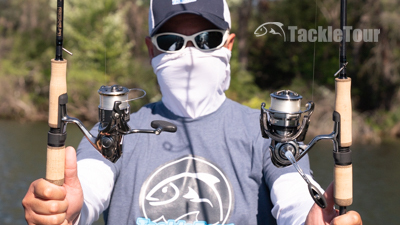 Micro-module gearing is a proven difference maker in Shimano's reels. For Daiwa, we know they've equipped the Exist LT with Duralumin gears. 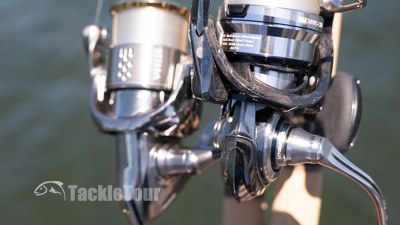 Duralumin is an aluminum alloy and reels with aluminum gears are not typically this smooth. The Exist LT's performance in this area probably has a lot to do with its super light, Zaion rotor and one-piece body design. Less rotational weight equals a smoother spin and less pieces holding the guts together means fewer chances for flex and movement.